Promotes digestion & ph Balance. Apple cider vinegar is becoming increasingly popular in the health and fitness world due to its broad and diverse range of benefits. 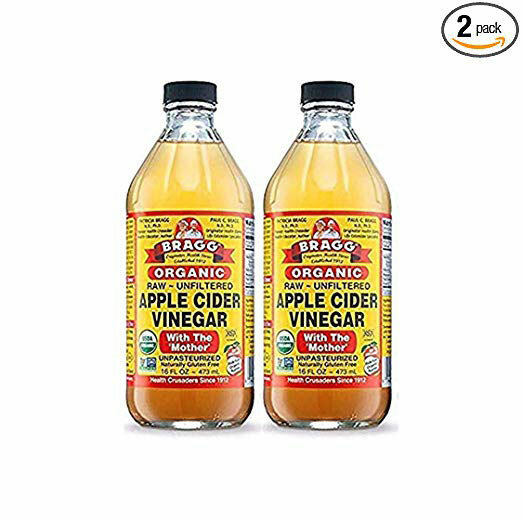 In the world of ACV, Braggs apple cider vinegar is one of the stand out leading brands with its long history and reputation, Braggs promises the best and most effective results, this product helps improve your digestion, plus support your immune system, and control your weight. Braggs have gone to long lengths in order to make sure that their product is certified organic and contains no added ingredients. All that you get with this product is apple cider vinegar, making it a pure and clean option for anyone who wants no bells and whistles. The cider stems from organically grown apples which are then processed and bottled in order with the USDA guidelines. As well as being certified organic, the product is also certified Kosher. As well as this, Braggs have included the ‘mother’ which is the source of all ACV. By making it unrefined, unpasteurized, and unfiltered, you’re getting the full spectrum of benefits from all of the healthy bacteria. If you drink Kombucha, then you’ll be familiar with the SCOBY which is along the same lines. You’ll find that unrefined products such as this one will have more of a dirty or unclear look to them whereas clear or pasteurized vinegars which don’t contain the mother don’t come with nearly the same amount of benefits. There’s no set way to consume apple cider vinegar as different methods can come with different benefits. For instance, you can even use it as a great cleaning product around the home! For digestive benefits, it’s best to take a shot of ACV before meals either by itself or mixed into water. If the taste isn’t to your liking, then you can always mix it with honey or agave syrup to make it a little more palatable. Otherwise, you can also use apple cider vinegar in cooking to boost the taste and nutritional content of your meals. Pouring over salads and vegetables is a great form of homemade dressing or you can even sprinkle over popcorn as a healthy alternative to traditional seasoning. Compared to other Apple Cider Vinegars, Braggs definitely ranks highly. The product is completely clean and pure which means there’s no added flavourings or ingredients that may affect the nutritional content and benefits. For instance, some companies may add sweetener or honey to make the product more palatable, but this can easily be done at home and may not suit those who suffer from high blood sugar levels or just want the straight liquid. 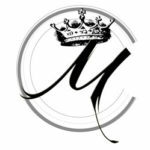 As well as this, any product without the mother won’t contain the same level of advantageous qualities, making Braggs one of the better options. Apple cider vinegar has definitely built up a strong reputation for its potent health benefits, but it isn’t the god-like supplement that everyone seems to think that it is. Some of the proven benefits are for the digestion and blood sugar levels, but it’s not a complete cure for either. At the minute, more studies are needed in order to confirm the benefits of apple cider vinegar and what these benefits might be. However, much of the supporting evidence is anecdotal, meaning that it may depend on the person. If you try apple cider vinegar and it helps you, then that’s fantastic, but it may not work for everyone. Some people find it can actually worsen their digestion opposed to aid it, but others find it wonderful for helping with their IBS or digestive issues. If you do find that ACV helps, then Braggs are offering one of the best product on the market. So again give it a try and let me know how you go and leave a comment below.